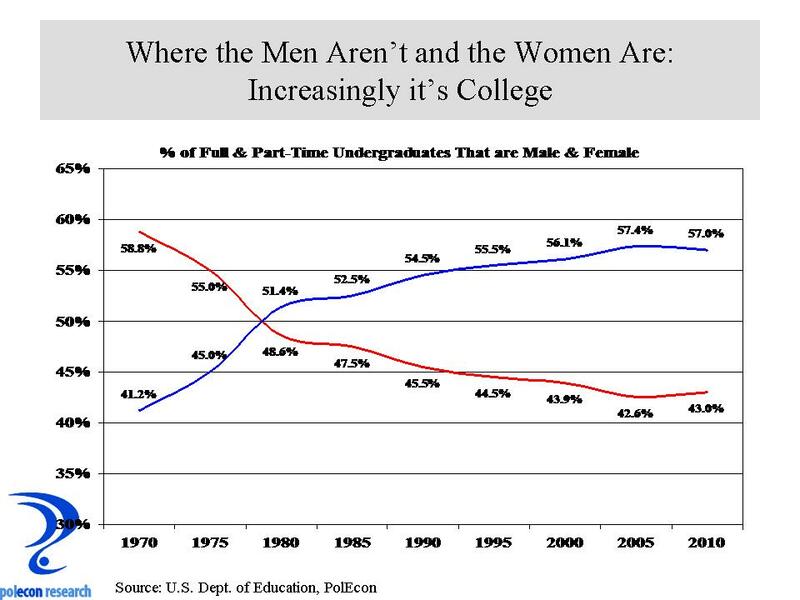 This entry was posted on February 12, 2013 at 11:33 am and is filed under college, Demographics, Educational Attainment, Gender. You can subscribe via RSS 2.0 feed to this post's comments. 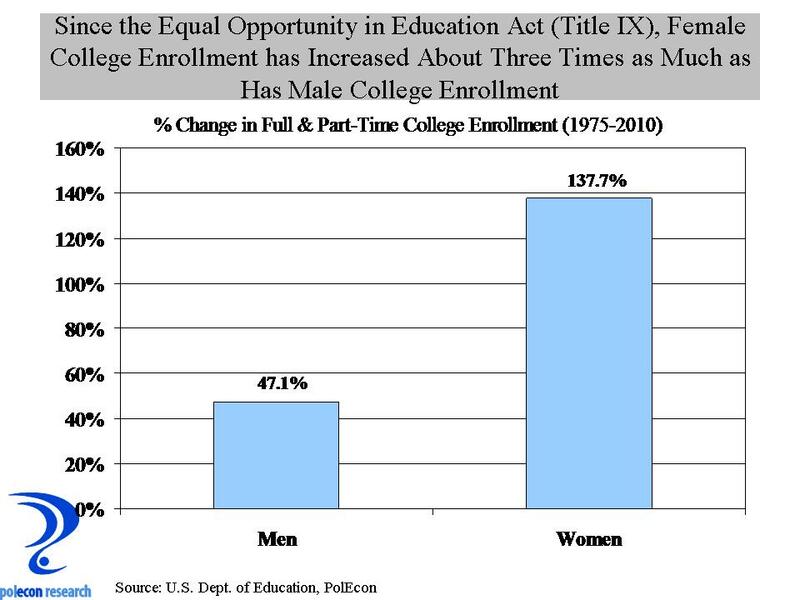 Here is an interesting “Freakonomics” effect from Title IX. Female college sports teams are predominately coached by male coaches. One of my students at New England College did a paper on that subject, and I thought it was so compelling that I sent it to Steve Leavitt. It could be because not enough women athletes have ‘risen through the ranks’ to become coaches – so in the short term demand for female coaches outstripped supply. 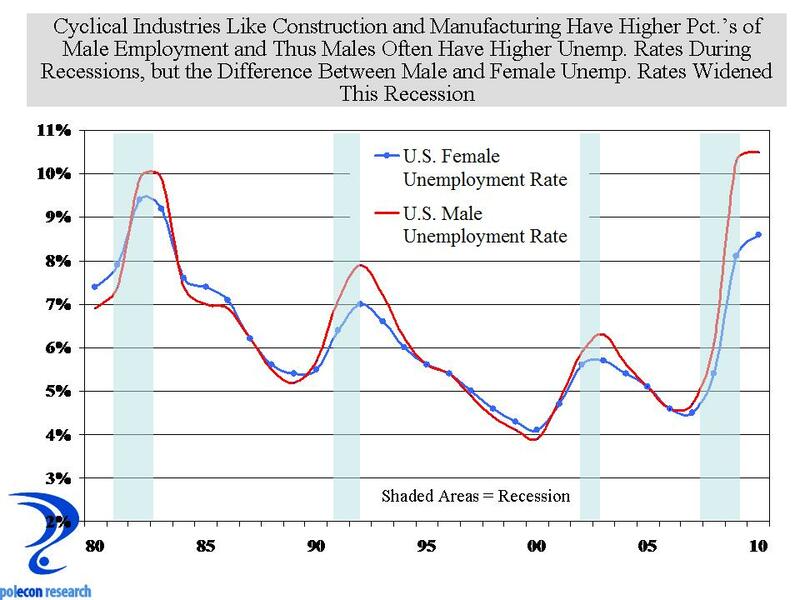 You will find that issue discussed in the second Freakonomics book. Nice to hear from you Professor Delay! And nice to hear that there is compelling research coming from some of your undergrads – if you can share it I would love to see it. I think it is equally and maybe more important for young women to be coached by women when they are girls, but in my experience coaching my daughters in different sports over many years – especially in quite competitive youth sports levels (AAU basketball) there was a dearth of female coaches but with increasing female participation in athletics I think it is just a matter of time before the “feeder system” starts to produce more women coaches – if they aren’t impeded by the high percentage of male athletic directors.